Once in a blue moon, I get a kind email from a brand reaching out to me that I simply can't pass up. 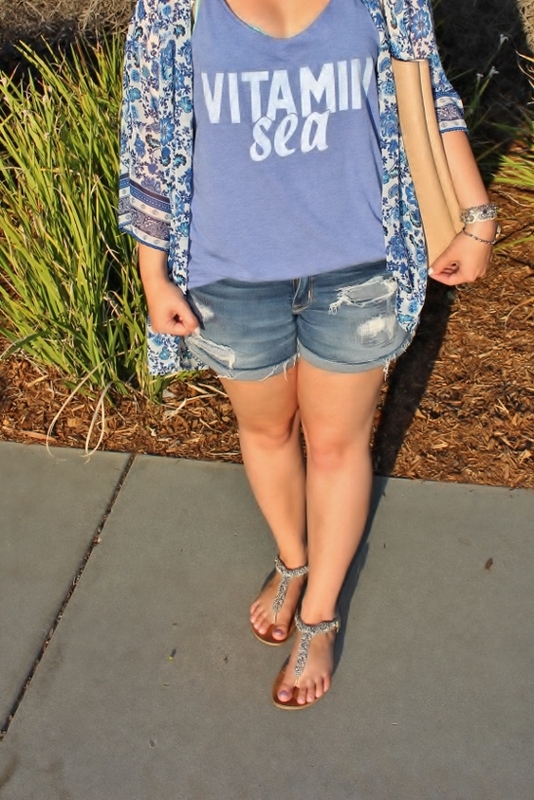 As a self-proclaimed beach girl, I love Summer because I can escape the desert heat in my hometown and make the forty-five minute drive to the coast for some relief! Third only to shopping and blogging, the ocean is one of my favorite things. Any chance I get, I'm by the water. Which brings me to these tank tops that Easy Livin' Tees sent over, as part of their Spring/Summer collection. I lived in them while I was on my Hawaiian vacation, and I'm even wearing "vitamin sea" now over my bikini. Whether you're running errands, having an outdoor BBQ, hanging out poolside, or taking a beach day, these little cotton tops with fun, catchy sayings are perfect. 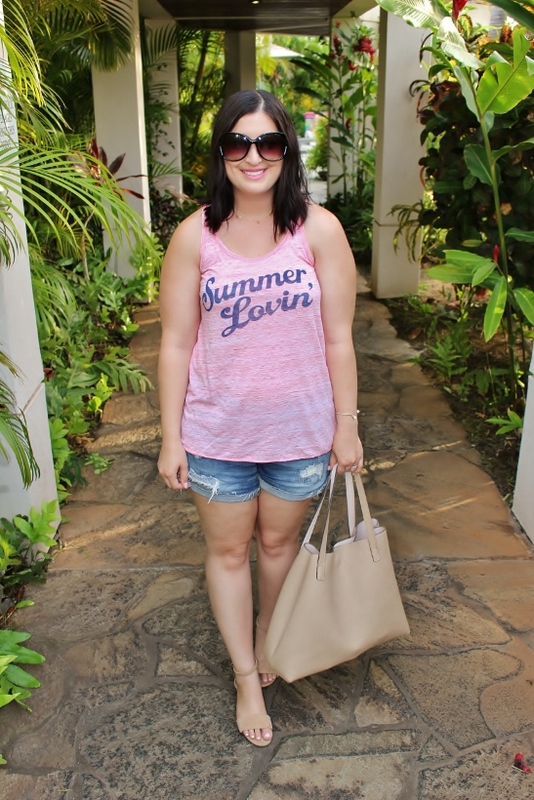 I especially love the fit of the "Summer lovin'" tank. It's fitted but not tight, and I love the Grease movie reference! Both tanks are really soft and wash well. In fact, I've seen similar tops at surf shops that cost a ton more than these do, and yet these are just as adorable! They have other cute options on their website to suit any taste. I'm not typically big on graphic tees, but I can definitely get behind these because they are just so light and the quality is nice. I'll be living in them all season long. Love your cute outfits with these tanks! Also, I think aside from Snapchat this is the first time I've seen the Target jean shorts on you and they look great! You really can't beat them for the price. 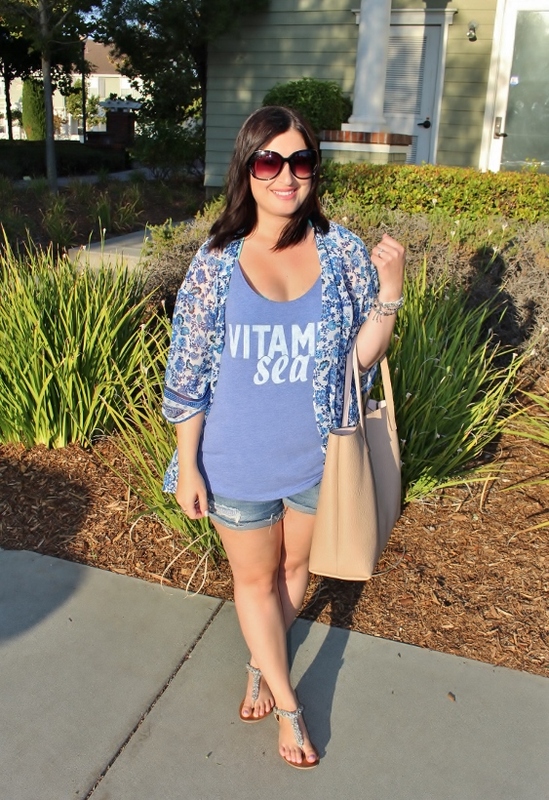 I LOVE how you paired the Vitamin Sea tank with the kimono!! Thank you for representing our Easy Livin Tees so well :-). I always love your blog!! So happy you're pleased with the outcome Amy! I love the tees so much, thank you again for being so kind and letting me pick them out! these tee's are adorable. I'm on a pink kick these days so I especially love the first one. Also been eyeing that Nordstrom tote, you may have convinced me to get it now. 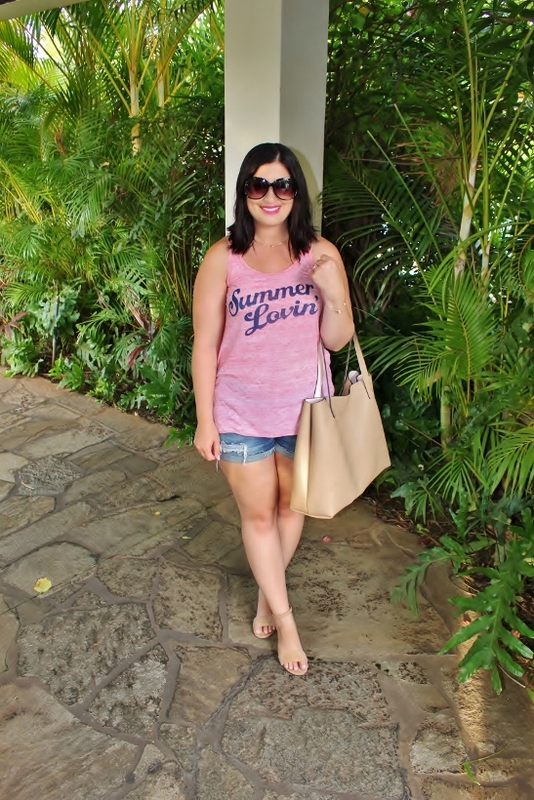 Such fun tees and perfect for Hawaii! 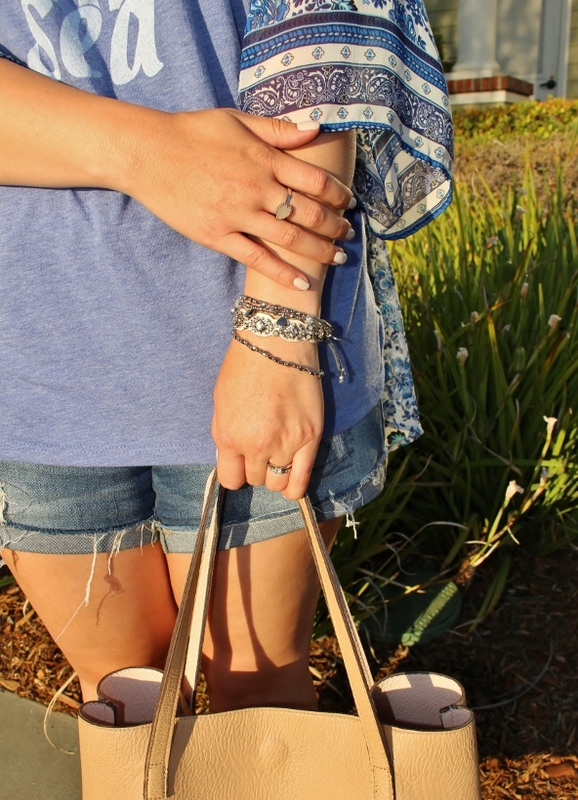 Love these beachy summer looks. These tees are a perfect, I'm a t-shirt hoarder and love love love fun ones. You look adorable.